A man claims he landed the drone on Abe’s office roof to protest plans to restart nuclear power plants. A drone carrying a small amount of radioactive cesium was found on the roof of Japanese Prime Minister Shinzo Abe’s office on April 22. When exactly the drone landed was unclear. The last time the helipad on the roof had been used was on March 22, when Abe flew to Kanagawa Prefecture for the National Defense Academy’s graduation. However, because the drone was dry when discovered, and it had rained in Tokyo on April 20, authorities believed it had landed on April 21 or 22. Fukushima No. 1 nuclear plant –which experienced three reactor-core meltdowns after the March 2011 tsunami and earthquake — may be the source of the radioactive material found on the drone. On April 24, Fukui Prefectural Police reported that a man claiming responsibility for landing the drone had turned himself in. Yasuo Yamamoto, 40, told officers he wanted to protest the government’s policies to promote nuclear power and that he had acted alone. He was arrested on April 25 on the suspicion of forcible obstruction of business and interfering with the operations of the office of the prime minister. Yamamoto is a resident of Obama city in Fukui Prefecture, where several nuclear plants are concentrated. According to Yamamoto, the radioactive material came from Fukushima sand and the drone had been flown to the prime minister’s office on April 9. 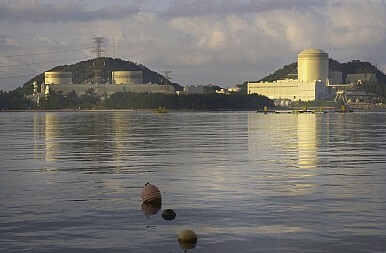 All of Japan’s 48 commercial nuclear power plants suspended operations after Fukushima No.1’s crisis and remain offline. However, several plants are moving toward resuming operations after passing inspections by the Nuclear Regulation Authority (NRA). The government promotes nuclear energy as a cheaper energy option that can also help reduce Japan’s reliance on foreign oil. The industry ministry currently wants to cut the risk probability of a major nuclear accident occurring from once-in-40 years to once-in-80 years. This will reduce the proposed costs for dealing with nuclear accidents, and the ministry justifies this move based on the much-stricter NRA regulations. The Japanese public remains very skeptical of government claims about nuclear safety. Many families in eastern Japan have taken the initiative to survey levels of radioactive contamination around where they live, because they do not trust government reports. For example, radioactive material was removed from a Tokyo park, Ikebukuro Honcho Densha no Mieru Koen on April 25. Workers suspect the radiation came from radium, and do not think it is connected to Fukushima No. 1. Though NRA is the national body in charge of nuclear safety, the issue is likely to be fought by residents in a piece-meal manner, local court case by local court case. Just recently, local residents’ case for an injunction to stop the restart of two reactors at Kyushu Electric Power Co.’s Sendai nuclear power plant in Kagoshima was dismissed. The reactors are likely to restart in July at this rate. However, earlier this month, a different court in Takahama did issue an injunction preventing the restart of Kansai Electric Power Co.’s two reactors. The drone that landed on the prime minister’s office is a black-painted Phantom, a popular model produced by Chinese firm SZ DJI Technology Co. It is the same model also flown onto U.S. White House grounds in January. On Friday, government and ruling parties began discussing new legislation that would ban drone flights in the air above facilities such as the Prime Minister’s Office, the Diet building, foreign diplomatic missions, and central government offices. The urgency of establishing relevant legislation is compounded by Tokyo’s hosting of the Olympics in 2020. Japan’s Nuclear Power Program: A Strategic Paradox? Prospective reforms to Japan’s military posture mask the strategic vulnerability of Japan’s nuclear reactors. Japan's Flawed Nuclear PolicyYuko Obuchi Resignation and Japan’s Nuclear Strategy	The First Steps of Japan’s Nuclear RestartUS-Japan Trade Agreement Negotiations: Why Now?Japan’s New Imperial Era: What’s in a Name?